Home sellers face a new reality as they look to move up, down, in or out of their American dream in today’s market. Consumers, particularly those who purchased their homes within the last five years, often find their options limited by a lack of equity. Those who can sell are sometimes numbed by deflated home prices and find it difficult to justify yesterday’s valuations with today’s reality. Of course, professional sales representation is essential this transitioning market or any other. The Prudential Real Estate Network, recently recognized for “Highest Overall Satisfaction for Home Sellers Among National Full Service Real Estate Firms” in J.D. Power and Associates’ 2010 Home Buyer/Seller StudySM, is composed of true, local-market experts whose experience, analysis and consultation generate results in all market conditions. 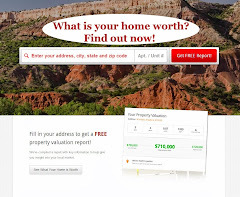 As the local experts, they’ll help set fair-market prices using factual reference points, such as an appraisal, comparables sales and personal knowledge to help estimate market value. Today, a house priced at or slightly below market value will attract the interest of real estate professionals and buyers, while overpricing chases them away. Even if the sellers adjust their prices later, it’s difficult to recapture buyer interest. 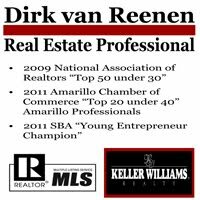 Sales professionals develop comprehensive marketing strategies to sell a home. They generally use open houses, yard signs, Internet exposure, MLS, newspaper ads, brochures and other means to market properties. · Condition and appearance. Sellers shouldn’t rely on buyers to use their imagination; they need to capture it. Remember that buyers may see seven or eight homes in a single day. The most memorable home will be the one that seemed the brightest, the most spacious, and the most cheerful. This invariably means rearranging and eliminating furniture, removing excess knickknacks and so on, to create an open, uncluttered look. Outside, do a visual check of the front of the house from across the street. Does it have curb appeal? It should look inviting, with a trimmed lawn and a freshly painted front door. A real estate professional can offer some guidance in this area. · Terms/conditions. Even if the home is accurately priced, and the buyer is delighted with what he or she sees, if the buyer can’t live with the terms of the sale, he or she may walk away. Keep an open mind on terms and conditions and evaluate how they may affect a potential sale. · Incentives. Offering incentives can be just the impetus a potential buyer needs a buyer needs to choose your property over others. Consider offering a carpet or paint allowance. If the buyer knows up front there is allowance for the worn carpet or paint, then may overlook those cosmetic flaws. You could pay for a professional home inspection or a home warranty, or pay closing costs. Indeed, real estate opportunities abound for sellers and buyers who can come to terms with today’s market conditions. A qualified real estate professional will help you navigate the market, protect your interests and keep you moving toward your housing dreams.